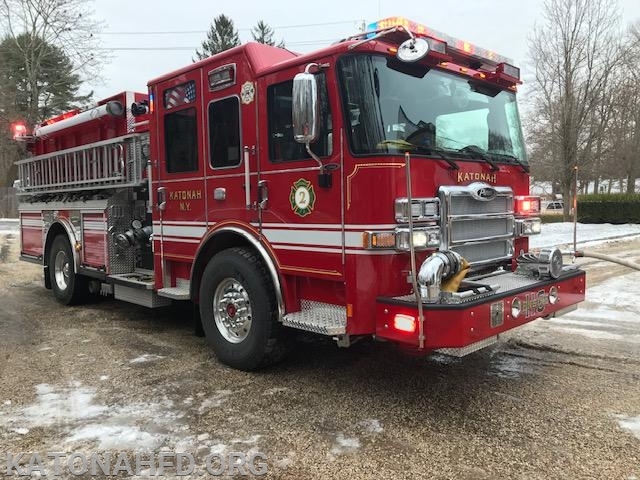 KFD was alerted to a fire in the rear of a home in the area of Girdle Ridge Dr and Girdle Ridge Rd at approximately 12:25pm. 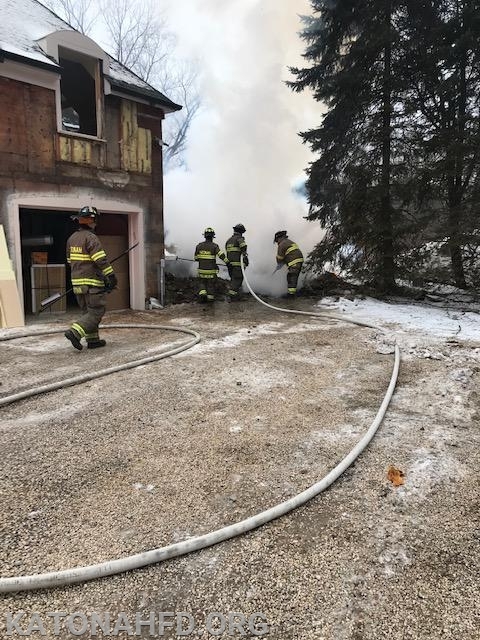 While Car 2213 and Engine 116 were responding Bedford PD reported that the fire was approximately 5' from the home and close to nearby propane tanks. 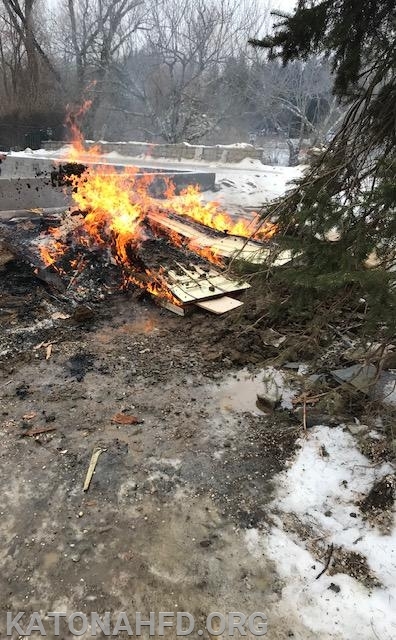 When Car 2213 arrived on scene he immediately requested the Town of Bedford Code Enforcement after determining the fire was set by contractors and were burning inappropriate items and in close proximity to the home and nearby water. 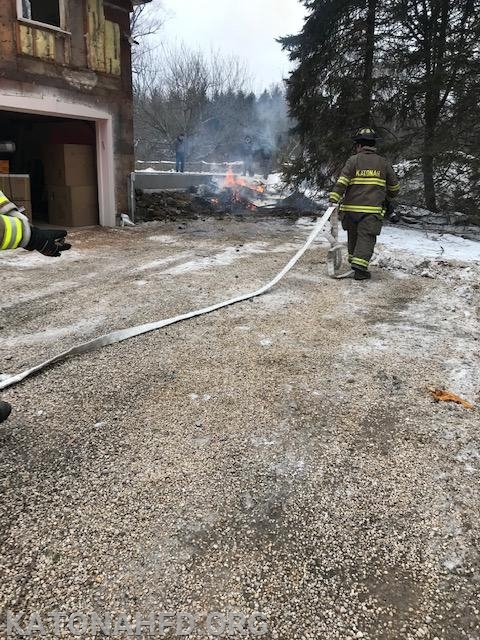 Engine 116's crew extinguished the fire and checked the home for extension while Tanker 6 arrived on scene to supply additional water if needed. The help of the NYS Environmental Conservation Police was also requested and scene was turned over to them.